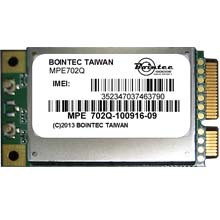 Bointec MPE702Q HSPA+ Full size PCI Express Mini card is an embedded module, it can be easily integrated into laptops or other devices for 3G mobile data application offering data, SMS solutions. MPE702Q offers high performance to the user and operates globally on 900/2100MHz bands on HSPA+ and UMTS networks. 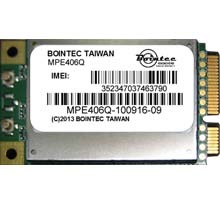 In areas where HSPA+ service are not available, Bointec MPE702Q still enables reliable and secure data connections over HSPA/UMTS or EDGE/GPRS network.